Since the release of his 2016 debut album, Daniel Hardin set to create something different... something that had not been heard before. Staying true to the guitar playing and diverse songwriting ability that he is known for, he experimented with different techniques such as slap guitar and funk bass. The result was a collection of songs that are each wildly unique in that, no two songs sound the same. "Miles Around" is track that is filled with slap guitar, slap bass, and a punchy rhythm section that drives the emotive vocals and lead guitar. "Wishing" is an introspective guitar-driven track that builds to a huge climax of lead guitar and heavy hooks. "Someday" is a raw, upbeat track that captures the unpolished, organic feel of a live performance. "So Easily" is a fan favorite that explodes into incredibly dynamic choruses and melodic guitar solos. "Why Should I Wait" is a rhythm-section driven song with a catchy pop-like chorus that highlights the bass playing. "I Hope You Know" is a slow, powerful, groovy track that builds into a climactic, explosive end to the EP. At 18 years old, "The Road Less Traveled" represents only the beginning of what is to come for this Athens, Ga artist. Guitar, vocals, bass, and keys by Daniel Hardin. 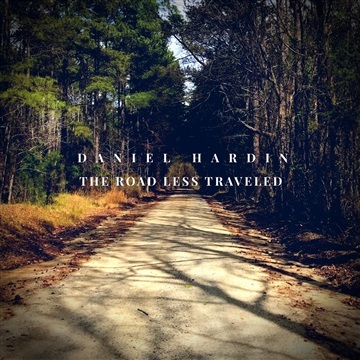 All songs written and recorded by Daniel Hardin © 2018.